When the new home shirt went on display, the applause wasn't exactly unanimous. Rumours were that the designers, in their attempt to get the names of season ticket holders printed in the white section (an idea for the 150th anniversary year) had made the black lines very thin - pin-striped in fact. 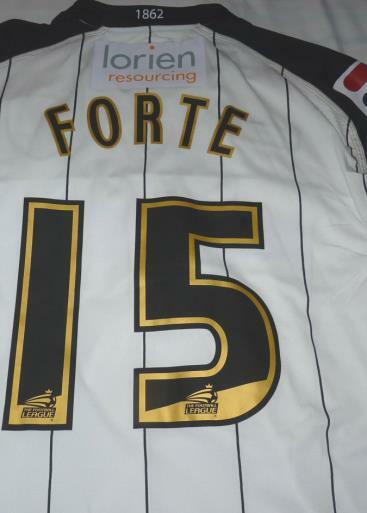 When the names thing was moved to the third shirt, the kit remained unchanged and ready to go. Across the front was Fraser Brown, a firm of solicitors pulled out of a lucky-dip of interested sponsors all of whom had paid for a chance at a years exposure. They added no colour to the shirt at all. It was very white. 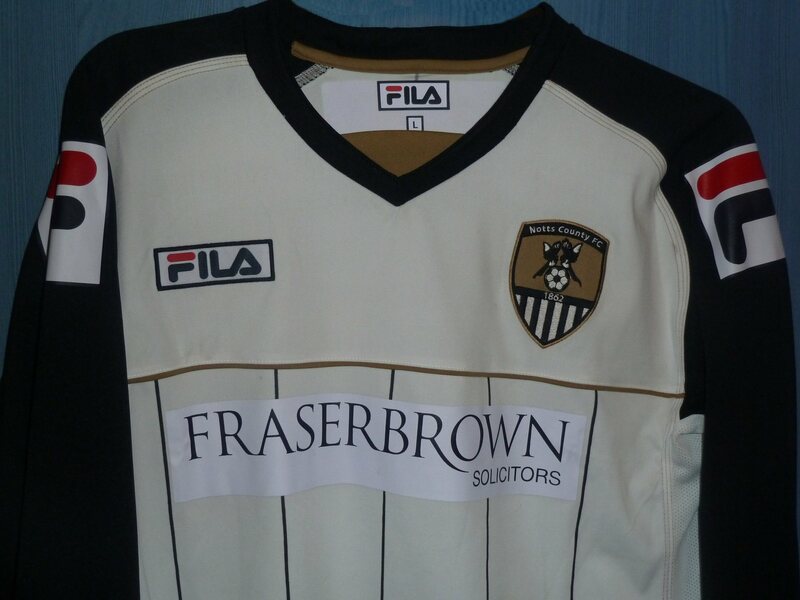 The only relief came from the big 'F' epaulettes that advertised Fila's first year as Notts kit manufacturer. Those were on black sleeves. It was, as one fan said, all 'a bit Derby'. So, not a success then huh ? Well, we at this site know that whatever we all say about it not being a 'proper' Pies shirt, the reality is that white has always been a good second choice. Ten years previously, the 'Great Escape' season created a popular all white away strip with grey panels and that plain design has been used more than once as a second choice. It probably wasn't suprising then, that after the dust had settled, the kit sold pretty well as a replica and by March, there were no adult ones left to buy. There you see.Told you !